Real Estate Professionals--step up and innovate! Ready to take charge of your brand? We'd like to introduce you to MyOnlineYardSign.com, our patent pending website that applies your unique branding to your listing photos in just a few easy steps! So let's go, it's time to TAKE YOUR YARD SIGN, ONLINE! So who's behind this thing anyway? 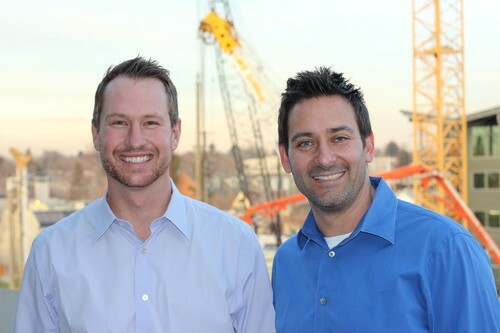 BreakthroughBroker.com was founded by two practicing Colorado REALTORS®, Nathan Froelich and Eric Sachs and is considered the largest free resource for agents in the world. The team at BreakthroughBroker.com is passionate about empowering agents with down to earth tools and information. MyOnlineYardSign.com is an extension of that mission. We believe the agent is the most valuable player in the real estate industry today! You have the most valuable assets: the relationship with the home seller, listing photos, and market knowledge. It's time to leverage those assets beginning with the listing photos. Easily brand listing photos in 4 easy steps and wherever those one-of-a-kind photos go, your branding goes with them! "Myonlineyardsign gives realtors the upper hand to get leads back vs others that just upload a photo on the MLS hoping to just sell the house and not gain a possible client on the buy side. This tool is still very new but I think we can easily gain a couple of extra clients from it. All it takes is one to make it worth your while; to me as a real estate marketing professional, it's a no brainer." "One of the unique and rather clever aspects of the MyOnlineYardSign program, is that it begins to reunite the listing agent to his or her own listings. As syndication on the internet has depersonalized our efforts... we've lost our identity, our expensive photos, well crafted message and potential clients to the Zillow's of the world, who by in large have robbed us of what is rightfully ours, then turns around and sells it to the highest bidder. MyOnlineYardSign just may be our David to their Goliath"
"I am afraid if MLS's don't adopt this, the brokerages/agents may just choose to start uploading their branded photos and listings directly to the syndication sites. If this happens, the brokers may start to question the value of their own MLS. We know buyers eyes are on the Zulia type sites and by branding the photos the buyers will realize the "featured agents" on the sidebar of these sites are not the ones to contact. You know the buyers would rather contact the listing brokerage/agent so I believe more leads would come back to the company with this addition."